Here is another of the exercises I have been doing for Lighting using scanline renderer and for faking the GI. 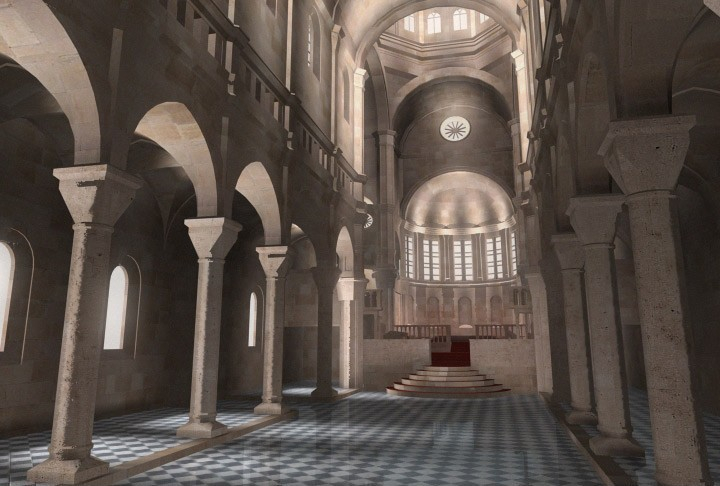 The Sibenik scene file has been downloaded from the NET and all the Lighting has been done using conventional Omnis for direct and indirect illumination. Trying to illuminate the model using Skylights as source of illumination, i.e. no Sunlight here. About 56 omnis has been used with about 17 among them shadow mapped shadows. Rendering took about 2:00 minutes per frame on 720x486 resolution, on AMD 900MHz with 256MB RAM. Will be obliged for your valuable comments.